And I think that was very good advice. Well, okay, but we’ve had the 50% retracement. That’s behind us. We’re in a new bull market now. There was a bull market from August 1971 to January 1980 and gold went up over 2,000%. From January 1980 to August 1999, there was a very long, 20-year grind it down bear market, and gold went down about 70%. Then you had a new bull market that lasted from August 1999 to August 2011 and in that 12-year bull market, gold went up over 700%. Then you had another bear market from August 2011 to December 2015 and as I said, gold went down 45%. We’re in a new bull market. It started in December 2015. Now, here are the facts, gold goes up and down. Lead’s volatile and we know there’s manipulation. People get discouraged and they buy gold and then some hedge fund or China comes along in the gold futures market and slams the price down. “Oh, gee, why did I buy it?” I get all that. I understand the discouragement. I understand how difficult it is to watch stocks go up and Bitcoin go up and I’m sitting here with gold and it just seems to be going sideways, but it’s not true. In 2016, gold went up over 8%. In 2017, gold went up over 13%. So far in 2018, gold is up 3%. You take the entire period from the bottom of the last bear market to the beginning of the bull market, December 2015 to today, gold is up over 25%. It’s been one of the best performing asset classes of all the major asset classes. 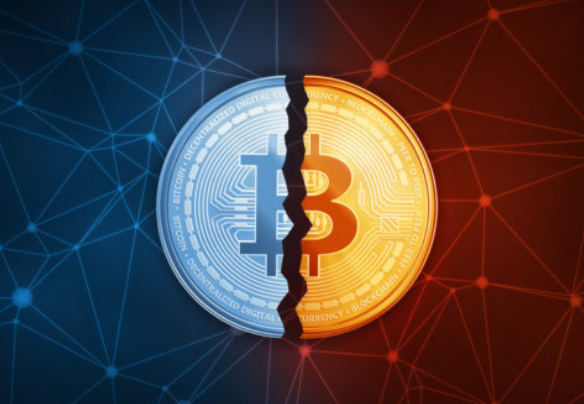 It’s not crazy like Bitcoin, but Bitcoin’s collapsing, which I also predicted some time ago. 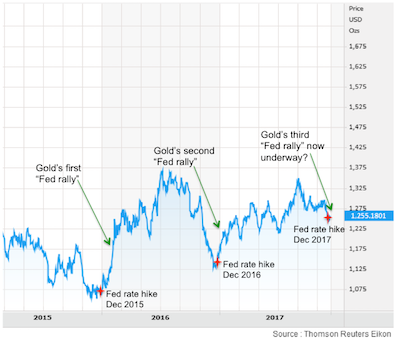 So, the truth of the matter is 2016-2017 are the first back-to-back years of gold gaining since 2011-2012, although at that point, it was already off the top. It’s more a statistical anomaly that gold went up in the year 2011. Yeah, it did, but it was way down, way off the peak in September of that year. But now we have two back-to-back years of gold going up very significantly. We’re in year three, 2018, is year three of this bull market. It’s off to a very nice start. The fundamentals are good. Their technicals are good. The supply and demand situation is good. We haven’t even gotten into other potential catalysts, including War with North Korea, loss of confidence in the dollar, financial panic. Even a normal business cycle recession or if inflation gets out of control, there’s just a whole list of things that are going to drive gold higher. Right now, they’re like clockwork. They’re going to raise every March, June, September, December – 25 basis points each time, boom, boom, boom, boom like clockwork. But, every now and then they don’t. They skip. They pause. Well, if your expectation is they’re going to raise and then they don’t, they pause, that’s a form of ease. It’s ease relative to expectations. That’s what’s going to happen later this year. All of a sudden, this headwind’s going to turn into a tailwind and gold’s going to get an even bigger boost. I see it going to $1,400 over the course of this year, perhaps higher. My long-term forecast for gold, of course, is $10,000 an ounce, but that’s… and I’m not backing away from that. That’s just simple math. That’s the implied noninflationary price of gold if you need to use gold to restore confidence in a monetary system in a financial panic or liquidity crisis where people have lost confidence. That’s not some made up number. That number is actually fairly easy to calculate, but you don’t go there overnight. You got to get to $2,000 and $5,000 before you get to $10,000. I think right now, we’re in a new bull market. It’s going to run for years. We’ve got that momentum. We’re off the bottom, but people are always most discouraged at the bottom, right? Well, that’s the time you should buy. It’s just human nature. I’m not faulting anyone. I’m not criticizing anyone, it’s just human nature to say, “Oh man, I’m so beaten down. I’m so sick of this. I’m so tired of this.” Well, that’s usually the time to buy and guess what, it is. What would the forecast be for the year ahead? What do I think about stocks and so forth? That’s one part of the analysis, but the other one is a little bigger and a little deeper, which is what about another major financial crisis, a liquidity crisis, global financial panic and what would the response function be to that. Let me separate. They’re related because, I mean the point I always make is that there’s a difference between a business cycle recession and a financial panic. They’re two different things. They can go together, but they don’t have to. 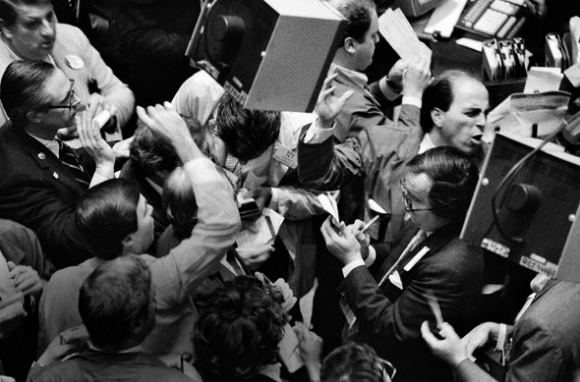 For example, October 29, 1987, the Stock Market fell 22% in one day. In today’s Dow terms that would be the equivalent of 5,000 Dow points, so we’re at 26,000 or whatever, as we speak, a 22% drop would take it down about 5,000 points. You and I both know that if the Dow Jones fell 500 points that would be all anybody would hear about or talk about. Well, imagine 5,000 points. Well, that actually happened in percentage terms in October 1987. So, that’s a financial panic, but there was no recession. The economy was fine and we pulled out of that in a couple of days. Actually, after the panic, it wasn’t such a bad time to buy and stocks rallied back. Then, for example in 1990, you had a normal business cycle recession. Unemployment went up. There were some defaults and all that, but there was no financial panic. In 2008, you had both. You had a recession that began in 2007 and lasted until 2009 and you had a financial panic that reached a peak in September-October 2008 with Lehman and AIG, so they’re separate things. They can run together. Let’s separate them and talk about the business cycle. I’m not as optimistic on the economy right now. I know there’s a lot of hoopla. We just had the big Trump Tax Bill and the Stock Market’s reaching all-time highs. I mean, I read the tape. I get all that, but there are a lot headwinds in this economy. There’s good evidence that the Fed is over-tightening. Remember the Fed is doing two things at once that they’ve never done before. They’re raising rates. I mean, they’ve done that many times, but they’re raising rates, but at the same time, they’re reducing their balance sheet. This is the opposite of QE. I’m sure a lot of listeners are familiar with QE, Quantitative Easing, which is money printing. That’s all it is. And they do it by buying bonds. Then when they pay for the bonds from the dealers, they do it with money that comes out of thin air. That’s how they expand the money supply. Well, they did that starting in 2008 all the way through until 2013, and then they tapered it off and the taper was over by the end of 2014, but they were still buying bonds. So, that was six years of bond buying. They expanded their balance sheet from $800 billion to $4.4 trillion. Well, now they’re putting that in reverse. They grabbed the gear and they shifted it into reverse and they’re actually not dumping bonds. They’re not going to sell a single bond, but what happens is, when bonds mature, the Treasury just sends you the money, so if you bought a five-year bond five years ago and it matures today, the Treasury just sends you the money. Well, when you send money to the Fed, the money disappears. It’s the opposite of money printing. So, the Feds are actually destroying money, actually reducing the money supply, so they’re raising rates and destroying money at the same time. It’s a double whammy of tightening and I don’t believe the U.S. economy’s nearly as strong as the Fed believes. They rely on what’s called the “Phillips Curve,” which says unemployment’s low, that’s a constraint and wages are going to go up and inflation is right around the corner. And that’s part of the reason they’re tightening, but there are a lot of flaws in that theory. First of all, the basic Phillips Curve theory is junk. It’s just not true. We saw that in the late ’70s when we had sky high unemployment and sky-high inflation at the same time. We’ve also seen it recently when we’ve had low unemployment and disinflation at the same time. So, you start by saying the Phillips Curve is junk, but even if you thought there was something to it, there’s so many problems with it in terms of labor force participation demographics, debt deleveraging, technology, et cetera, that it just doesn’t apply under the current circumstances. So, the Feds are tightening for the wrong reason. They are tightening at the wrong time and there’s a lot of evidence that a lot of the growth in the fourth quarter was consumption driven, but that was debt driven. People charged up their credit cards, consumer debt spiked. The savings rate is near a very long-term low. It doesn’t look sustainable, so lots of reasons to think that the Fed’s going to overdo it, get it wrong, tighten, throw the economy either into a recession or very low growth with disinflation, so I’m just not buying the inflation “happy days are here again” story. There’s also good reason to believe that the Tax Bill will not be as stimulative as people expect. All that’s truly going on is the running up the deficit by another trillion dollars and we’re already way into the danger zone and then that’s actually a drag on growth. So, there’s a good reason to think the economy is going to slow, that by itself would take the wind out of the Stock Market and close it at the potentially very serious Stock Market correction, at least 10%, maybe as much as 20%. We’re talking about going down as I say 5,000 or 6,000 points on the Dow before the end of the year, so that’s one scenario. The scenario I talk about in my book really involves a financial panic. Now, the thing there is that these are not that rare. I already mentioned the one, really two-day panic in 1987, but in 1994 you had the Mexico Tequila Crisis. In 1997, you had the Asian Peninsula Crisis. In 1998, you had the Russia Long-Term Capital Management Crisis. In 2000, you had the dot.com meltdown. In 2007, the mortgage meltdown. In 2008, the financial panic. These things happen every five, six, seven years, not like clockwork, but that’s a typical tempo for these kinds of meltdowns and it’s been nine years since the last one. So, nobody should be surprised if it happens tomorrow. I’m not predicting it will happen tomorrow. I’m just saying nobody should be surprised if it does, whether it’s tomorrow, or next month or next year, or even a year and a half from now, don’t think for one minute that we’re living in a world free of financial panics. By the way, these two things could happen together. You could have a slowdown that leads to a financial crisis, a replay of 2008. But here’s the difference and this is really the point of your question, Mike. In 1998, we had a financial panic and Wall Street got together and bailed out the Hedge Fund Long Term Capital Management. In 2008, we had a financial panic and the Central Banks got together and bailed out Wall Street, so each bailout gets bigger than the one before it. In the next panic, whether it’s this year or next year, who’s going to bail out the Central Banks. In other words, each panic’s bigger than the one before. Each response is bigger than the one before going down this chronological sequence. The next one is going to be the biggest of all. It’s going to be bigger than the Central Banks and you’re only going to have one place to turn. If you had to get global liquidity right now, the Fed’s at that one and half percent in terms of the target Fed funds rate, so they most they could cut is one and a half percent to get back to zero. There’s good evidence that to get the U.S. economy out of a recession, you have to cut interest rates three or four percent. Well, how can you cut them three percent when you’re only at one and a quarter, one and a half percent. Well, the answer is you can’t, so then what’d you do? Well, then you go to QE, but they already did that. They haven’t unwound the QE. They started to and that’s what I mentioned, but they haven’t unwound it. The balance sheet is still around four trillion dollars, so what’d going to go to eight trillion, twelve trillion? 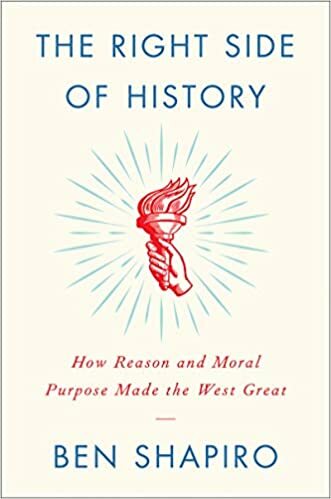 I mean, some people would say, “Yeah, what’s the problem.” Those are the modern, monetary theorists, Stephanie Calvin, Paul McCulley, Warren Mosler. There’re a bunch of them that think that there’s no limit in the amount of money the Fed can print, but there is a limit. It’s not a legal limit. Legally the Fed could do it, but there’s a psychological limit. There’s an invisible competence boundary that you cross when people just say “You know what, I’m out of here. Get me out of dollars. Get me into gold, silver, fine art, land. Whatever. Crypto-currencies, if you like. Whatever it might be but get me into something other than dollars because I’ve lost confidence in the dollar.” And we’ve seen that before also. So, putting that all together, in the next financial panic and nobody should be surprised if it happens tomorrow, it’s going to be bigger than the Central Banks. They’re going to have to turn to the IMF for liquidity. The IMF has a printing press also, that’s the International Monetary Fund. They can print this world money called the Special Drawing Right of the SDR, so yeah, they can pull trillions of SDRs worth trillions of dollars. One SDR is worth about $1.50. They could pull trillions of SDRs out of thin air and pass them around, but here’s the point and I spoke to Tim Geithner about this, former Secretary of the Treasury. It takes time. The last time they did this … and by the way, it went completely unnoticed, the panic was in ’08 and in August and September of 2009, the IMF did issue SDRs to help with global liquidity, but that was almost a year after the panic. The point is, the IMF is slow and clunky. It’s not the fire department. I mean, they might be like a construction crew that can come in and put in a new foundation, but they’re not the fire department that can help you when the building’s burning down. So, what they’re going to have to do is what I call Ice 9. They’re going to have to freeze the system. First, starting with money market funds, then bank accounts, then stock exchanges, they might reprogram the ATMs to let you have $300 a day for gas and groceries. They’ll say, “well, why do you need more than $300 a day to get some food and gas in your car? Why do you need more than that? We can’t let you take all your money out of the bank. We can’t let you take your money out of the money market funds. We can let you sell your stocks.” And I describe all this in the book in detail with a lot of endnotes. You don’t have to read the endnotes unless you want to, but this is all documented. It’s all publicly available. It’s not some science fiction scenario. This plan is actually in place and I describe how. Just to wrap up, I expect a weaker economy than the mainstream in 2018. Perhaps, a stock market crashing based on that alone. I also expect another financial panic. It’s impossible to say when, but eight years on, nine years on, I would say sooner than later. And this response function is going to be something that people haven’t seen since the 1930s. James Rickards: Is $10000 Gold What Investors Really Want? 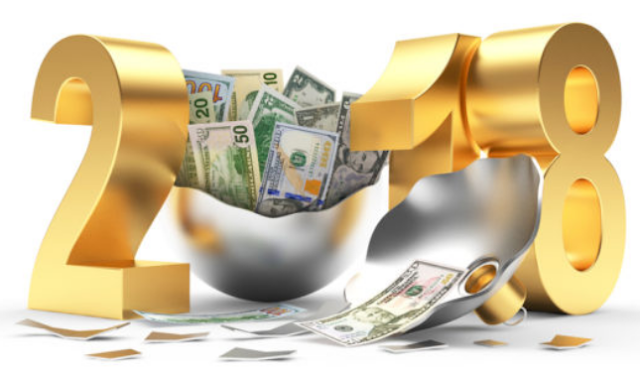 A rapidly increasing price level for gold may not be beneficial to investors, said best-selling author, Jim Rickards. $10,000 an ounce is “approximately the implied non-deflationary price of gold in a gold-backed monetary system,” Rickards told Kitco News on the sidelines of the Vancouver Resource Investment Conference. 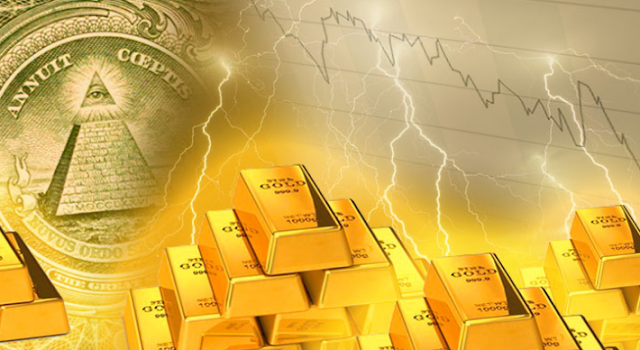 Rickards noted, however, that gold at $10,000 levels may imply an increase of prices of other goods and commodities, thus eroding purchasing power. “All gold does is it preserves your purchasing power. But, if gold is $5,000, then oil is probably $400, and everything is double or triple, you’re not really ahead of the game,” Rickards said. 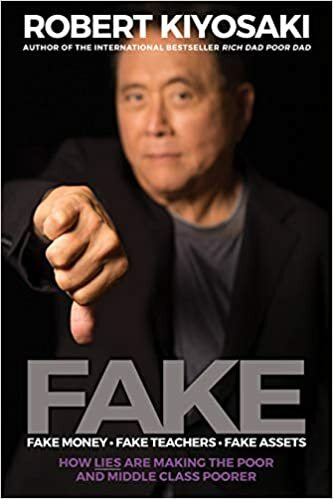 The best-selling author added that 2018 may be a breakout year soon, and that a pending economic downturn is imminent and would be triggered by a liquidity crisis worse than the Great Financial Crisis in 2008. Below, my colleague and senior geologist Byron King shows you how Russia is stockpiling gold as a “fire escape” currency to bypass the U.S.-backed monetary system. Read on to see how this development will dramatically affect the price of gold in the years to come. Best of all, the U.S. Congress and White House got around to cutting our taxes in late December! To understand why 2018 may unfold catastrophically, we can begin with a simple metaphor. Imagine a magnificent mansion built with the finest materials and craftsmanship and furnished with the most expensive couches and carpets and decorated with fine art. Student loan debt is over $1.4 trillion, and default rates are over 20%. Most of these defaults have not yet hit the federal budget deficit. They will soon. Resulting bad credit ratings are standing in the way of jobs and household formation for an entire generation of millennials. The new U.S. tax bill is the greatest hoax since Orson Welles’ 1938 radio broadcast, “War of the Worlds,” about an invasion of Earth by Mars. Orson Welles caused a panic in the New Jersey/New York listening area, with people fleeing their homes and jamming the roads. The tax bill damage will be less visible but far more damaging. A catastrophic wave of emerging-market defaults is coming, with enormous spillover effects likely in developed economies. This will be worse than the Latin American defaults of the 1980s and the Asian-Russia defaults of the late 1990s. It will emerge from Turkey and Venezuela but won’t stop there. 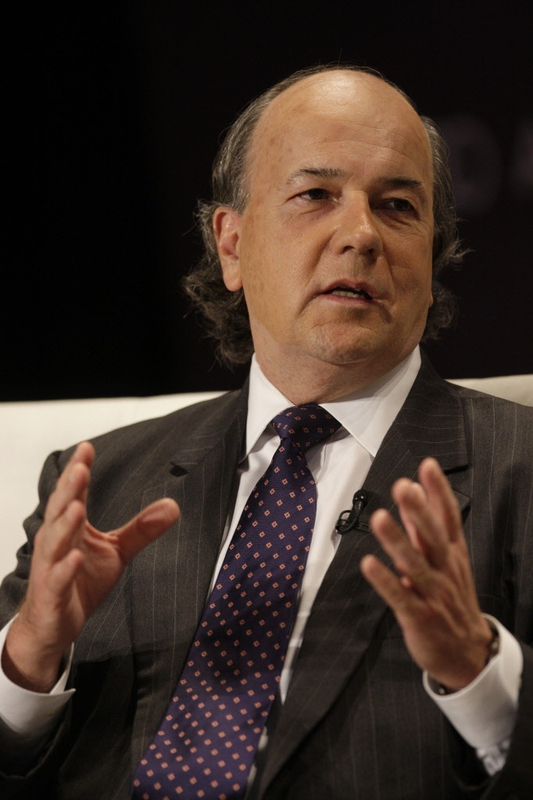 Jim Rickards is Chief Global Strategist at the West Shore Funds, and Director of The James Rickards Project, an inquiry into the complex dynamics of geopolitics and global capital. 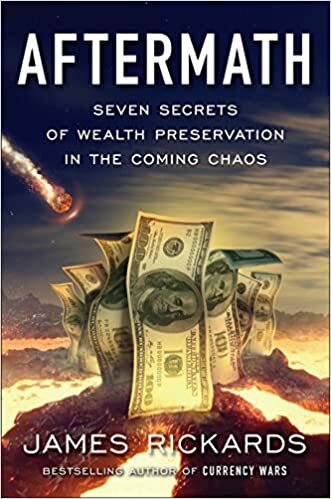 In The Death of Money, Rickards shows why another monetary system collapse is rapidly approaching – and why this time, nothing less than the institution of money itself is at risk. Fortunately, it's not too late to prepare for the coming death of money. Rickards explains the power of converting unreliable money into real wealth, such as gold and other long term stores of value. James Rickards is the bestselling author of Currency Wars, The Death of Money, The New Case for Gold, and The Road to Ruin. [0:55] Update on N. Korea -- A war is not priced into the market. Is it a real possibility? [8:05] How important is the language coming out of the White House? [12:05] Is Jerome Powell a surprise choice for Fed Chairman? [20:30] Will Powell be 'innovative' with policy? [24:00] Are bond yields providing a good signal to investors? Oil has had a spectacular run the past two years. From $29.42 per barrel on January 15, 2016, oil has risen to $57.36 per barrel as of last Friday, a 95% gain in less than 23 months. Much of this gain reflects the determination of the world’s two largest oil exporters – Saudi Arabia and Russia – to limit output in order to firm up prices. The duopoly of Saudi Arabia and Russia has proved much more effective than OPEC at maintaining the discipline needed to control oil prices. OPEC members such as Iran and Iraq are notorious for cheating on OPEC quotas. The duopoly is more disciplined. Yet, this kind of manipulation is a two-edged sword. Saudi Arabia and Russia have as much interest in not letting prices get too high as they do in not letting them get too low. Right now oil prices are at the high end of the range the duopoly consider acceptable. Oil prices have nowhere to go but down once Saudi Arabia and Russia do some cheating of their own. Investors who move now stand to reap huge gains as the duopoly drive prices lower in order to protect their market share, and once again shut-in the capacity of their competitors in the fracking industry. 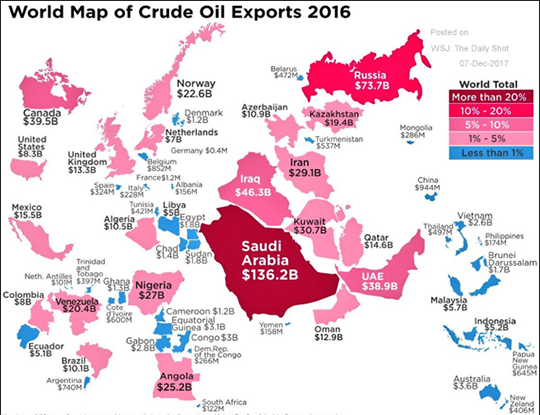 This infographic neatly illustrates the market dominance of two oil producers: Saudi Arabia and Russia. 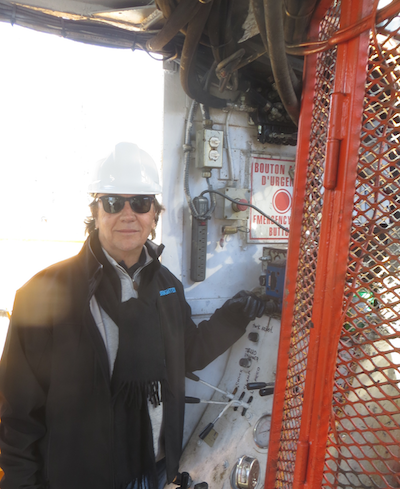 Together they produce 21 million barrels of oil per day, over 25% of global output. The two countries can effectively set the global price of oil by increasing or decreasing output in tandem. The duopoly have proved more effective than OPEC at price targeting to hurt the fracking industry while not reducing their own revenues more than necessary. Despite the ebbs and flows of oil supply and demand, and technical aspects of trading, the overriding dynamic in global energy markets is straightforward. In any market, there are price takers and price makers. The only price makers in global energy markets are Saudi Arabia and Russia, if they act together. Saudi Arabia and Russia, (the “duopoly”) together produce 25% of the world’s oil exports. That’s more than the next six major oil exporters combined, and those others have nowhere near the degree of coordination as the duopoly. Equally important is that Saudi Arabia has the lowest production costs of any major producer, about $4.00 per barrel. It’s certainly the case that Saudi Arabia likes higher oil prices, but oil could sink to $10 per barrel, and Saudi Arabia would still make money while most other exporters would lose money or cease production. The duopoly face a familiar dilemma that could confront any business. On the one hand they like high prices and the revenue that goes with it. The first is that high prices encourage competition in the form of marginal output that can take market share. The second is that high prices can produce a recession in developed economies that reduces oil consumption across the board. Obviously the duopoly would like higher prices, but this just encourages output from marginal producers especially those using hydraulic fracturing technology (“fracking”) in places like the Permian Basin in Texas. Saudi Arabia ran this program in mid-2014. They concluded that the optimal price is $60 per barrel. Of course, just because the computer says $60 does not mean you can stick the landing in the real world. There are many factors that go into oil pricing including geopolitics, central bank induced inflation or disinflation, and technical trading patterns. In particular, once a price moves radically in a macro market there is a tendency to “overshoot;” something that is quite common in currency markets for example. This chart shows NYMEX light sweet crude oil (WTI) prices from 2011 to 2017. The pre-2014 trading range was $80 to $115 per barrel. The post-2014 trading range is $25 to $60 per barrel. Saudi Arabia engineered the lower trading range in order to shut-in fracking capacity. Russia and Saudi Arabia work together today to keep an oil price ceiling of $60 per barrel. With oil near the high end of that range, signs of slowing growth in China, and disinflation in the U.S., a decline in oil prices is highly likely. While the Saudi plan was effective, the fracking industry did not simply disappear. In fact, the initial response of the frackers was to pump more oil. This additional output plus overshooting accounts for the dip in oil prices to the $30 per barrel level in early 2016. The reason frackers produced more oil at lower prices was because of their financial constraints. The frackers had loaded up on leases, equipment and labor during the good times of $100 per barrel oil prior to 2014. This was done with high leverage, which burdened the frackers with fixed interest and principal payments. Frackers did this in the belief that oil prices would stay above $70 per barrel. Some fracker cost structures ran as high as $130 per barrel to achieve profitability. Many of those costs were fixed, at least in the short run. Pumping oil at a loss was better than not pumping at all because it generated some cash flow to pay interest while the frackers waited for better times. The better times never came. Oil prices did bounce off the early 2016 lows and have stabilized closer to $45.00 per barrel, but that’s still not high enough to support most of the frackers. As the bankruptcies and debt restructurings piled up, a new wave of frackers entered the game. This new wave purchased assets from failing frackers at cents-on-the-dollar and continued exploration and drilling with improved cost structures. Some of the “new wave” frackers were actually from the original wave in 2011, but had managed to hold on either because they had piles of cash from their first financings, or because they had cut costs sufficiently to stay in the game for a while. Saudi Arabia perceived the threat from the new wave of frackers and decided to go for the kill. To do this, they enlisted Russia and created the duopoly. Now the stage is set for a new round of oil price declines and another bloodbath in the fracking fields. What are my predictive analytic models telling us about the prospects for oil prices in 2018? Right now the action nodes are telling us that energy prices are heading for a fall. The recent bilateral production agreement between Saudi Arabia and Russia combined with the multilateral production agreement in OPEC is designed to cap output and stabilize prices around the $60 level. These new agreements basically reaffirm production limits that had been agreed earlier this year. Those agreements account for the run-up in the oil price since mid-2017. Yet, the frackers have not gone away. Some are hanging by their fingernails with negative cash flow in the hope of higher prices. The duopoly are set to disappoint them. Now that the duopoly and OPEC production quotas are set, the cheating can begin. Perennial cheaters such as Iran and Iraq will be the first to overproduce. Venezuela’s economy is in free fall, and it will certainly take the opportunity to overproduce also. Once supply increases, the duopoly will tag along with their own increases in order not to lose market share. With the $60 per barrel cap firmly in place, and oil prices near that level, the price has nowhere to go but down. Prices near the top of the trading range will induce additional output. This time the frackers won’t get a reprieve because their bankers, stockholders, and bondholders won’t allow it. Losing money is not a sustainable business model.